iLoveToCreate Blog: Cameo Key Necklace - A Craft-A-Day with Pattiewack for National Craft Month! 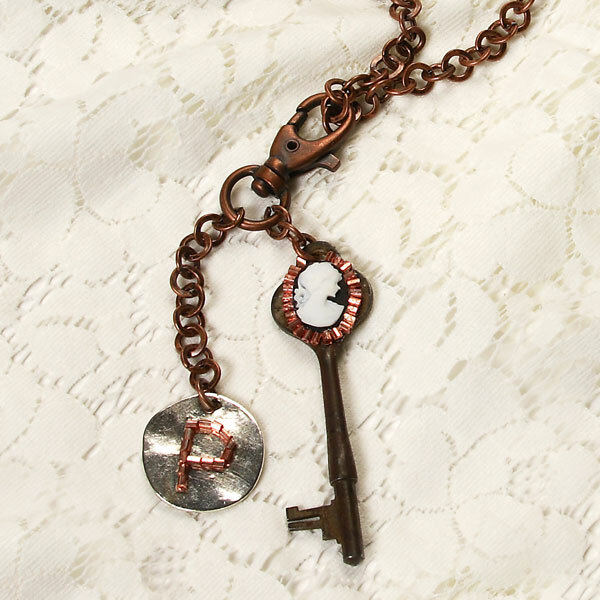 Cameo Key Necklace - A Craft-A-Day with Pattiewack for National Craft Month! Keys are so cool to craft with, and to add a cameo to a key is just great! I simply glued it onto the key and then took bugle beads and placed them around the edge. You can find out how I did it on iLoveToCreate.com. Oh, and how do you like the monogram with beads? This looks so cute with a white shirt and jeans. Now I just need to make some matching earrings or a bracelet!